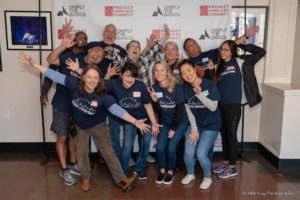 2018 started with a letter bearing these words, written by a Participant who–through the resources provided by Project Homeless Connect–found success in accomplishing his goals for the coming year. This warmed our hearts, not only because of the kind sentiment expressed in his letter, but because it highlights the foundation of PHC: the interconnectedness of community. 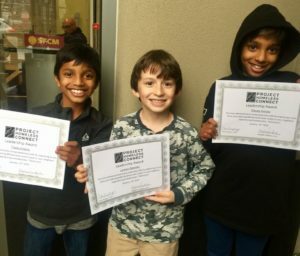 We love to see the success of our Participants, but we know that this is only possible through the compassion, generosity, and help of our many volunteers and donors. Thankfully, in 2018, there was a great deal of success to celebrate! 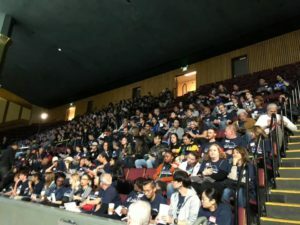 We are best known for founding the concept of a “one-stop-shop” style service event, also known as our Community Day of Service, where hundreds of volunteers gather to support their neighbors, alongside 120+ providers, to form a one-stop-shop of resources, free of charge, to anyone in need. In 2018, we were able to offer 287 housing support referrals, 371 California IDs, and 33,616 lbs of food through these events! A total of 3,605 Participants, both new and returning, attended our events in 2018, accessing services that would have otherwise been difficult to access. 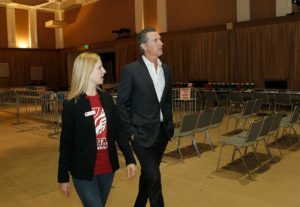 PHC Founder Governor Gavin Newsom tours the 70th Day of Service event with CEO Meghan Freebeck. 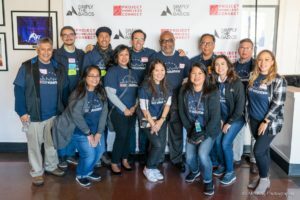 This year, we held our 71st Day of Service event in the Bayview neighborhood to better serve a community that is often neglected and lacking in resources. 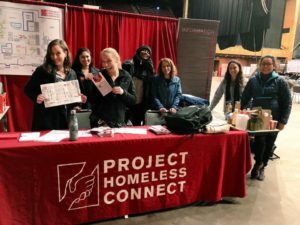 Most frequently, our events are hosted out of the Bill Graham Civic Auditorium (@BillGrahamCivic), but we believe that no one should find it a challenge to access services. 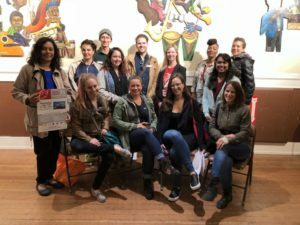 Over half of people experiencing homelessness also suffer from problems with mobility, so it became abundantly clear that there were needs going unmet and a community being underserved. This is why, when we noticed that members of our community from Bayview were having trouble with traveling twice the distance to our event than the members who live closer to the downtown area, we made the strategic decision to bring the Day of Service to them! The PHC Team kicking off PHC 71 in Bayview! We ended the year by ringing in our 73rd event where 455 volunteers assisted in making all this work possible! Another exciting moment came as we officially partnered with Simply the Basics, a nonprofit that stands as the first—and largest—national hygiene bank. Our close working relationship has flourished and allows us to increase our efficiency and ability to reach more people in the community. 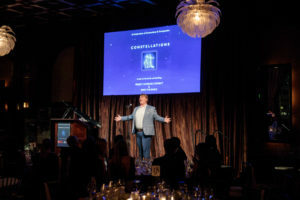 In May 2018, we held our first-ever gala, Constellations, to celebrate this partnership and the ongoing work we’ve been able to accomplish since 2004, when newly elected Governor Gavin Newsom created this program. 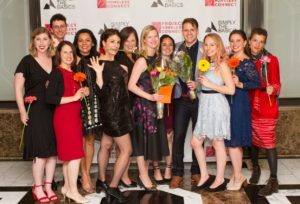 We will once again co-host this exciting gala on May 30, 2019! Finally, this year we launched a new program to improve the quality of life for our Participants. The Hearing Program, made possible through the support of the Hearing and Speech Center of Northern California, provides people with hearing and speech exams, followed by access to necessities such as hearing aids or other medical assistance surrounding potential hearing loss. As a result, we’ve already had two Participants receive hearing aids in the New Year! Our other programs, which also work to improve people’s quality of life, thrived in 2018! Over the year, our Service Coordinators held 8,595 appointments during our in-office Every Day Connect programs. Through our denture program, we were also able to give out 17 full sets of dentures, ensuring that we continue to improve the health, well-being, and smiles of our San Francisco neighbors. As you feel the city buzzing with the excitement of 2019 and think of all of the endless possibilities a new year holds, know that you’ve contributed so much to this community this last year! We hope you join us in taking pride in the fact that thousands of our neighbors have received services and compassion. When our neighbors succeed, it is a success for our entire community. Your gestures of compassion help to provide care and resources that are not only effective, but are delivered with dignity. We cannot wait to see what the New Year brings, and look forward to celebrating these new achievements with all of you–because it is only with the support of the community that we are able to achieve our goals!